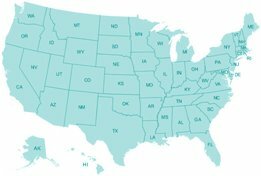 Simple Mobile offers some of the best value plans in prepaid, offering great rates and coverage throughout the USA. 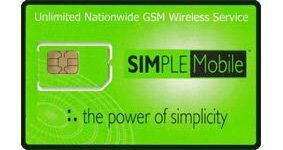 A Simple Mobile SIM card not only provides outstanding coverage, but also low cost calling to friends and family here and abroad. Ran out of talk time? No problem, this SIM card can easily be refilled on line and over the phone with any VISA or MasterCard. A Simple Mobile prepaid SIM card offers the following free standard features: caller ID, voicemail, three way calling, international calling, and much more. T-Mobile 2G GSM 1900 Mobile Network and the T-Mobile 3G 1900 & 1700 Network.